A by-product in the production of crude oil is the risks to the environment from contamination by raw oil as it is extracted from the ground. Often resulting in land that is unusable and toxic due to the high quantities of oil that has seeped into the soil. Across the Petroleum industry environmental security is of paramount importance, protecting the regions that they operate in from undue pollution. Legislation is in place to ensure that companies follow appropriate ecological guidelines in the protection of the environment on their sites. Due to our industry expertise we were approached by one of the worlds largest petroleum companies to provide fully compliant mobile solutions. incineration the oil is oxidised off the sand and soil. The sterilised material can then be returned to the environment without any risks. Due to the highly flammable and volatile nature of this waste, incinerators need to be specifically adapted to manage the high volatility of the waste being processed, optimising the processing and fuel usage throughout. 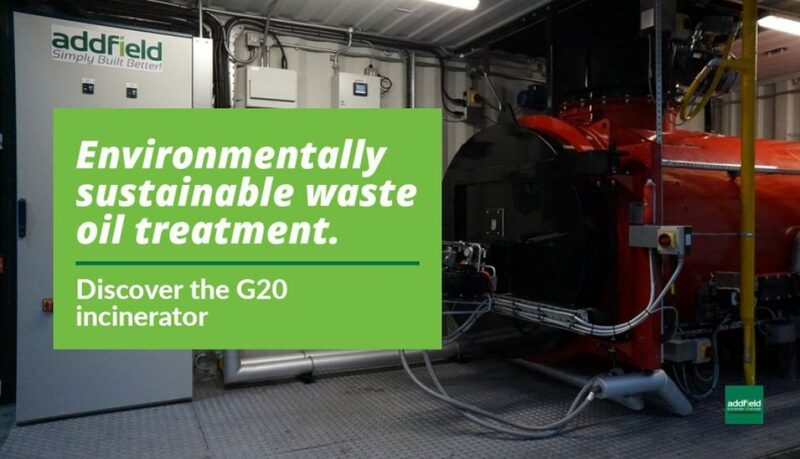 The G20 is a specially adapted general waste incinerator that has been optimised for oil-based waste. Benefiting from two loading systems primarily a soil and sand feeder at the rear of the machine that automatically loads contaminated material at a controlled rate. The feeder deposits the waste into a tumblering hearth, designed to control the speed of burning maintaining optimum processing. A pneumatic loader is provided configured to allow general waste to be loaded for destruction. This is highly beneficial due to the often remote nature of the facilities, these machines will be operating from, reducing the environmental impact even further, reducing transportation costs and zero waste to landfill policy further enhancing the environmental benefits. 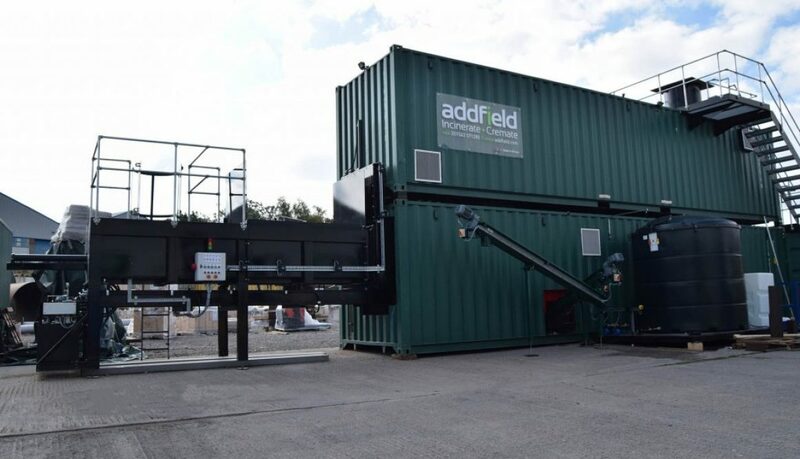 All addfield machines are designed to be able to run on a range of fuels most commonly diesel or gas however we are able to adapt them as is the case for the G20 to run on waste oil a very common resource on such sites. We have just discovered a fantastic article online detailing the ongoing issues with dealing with waste produced on remote islands. 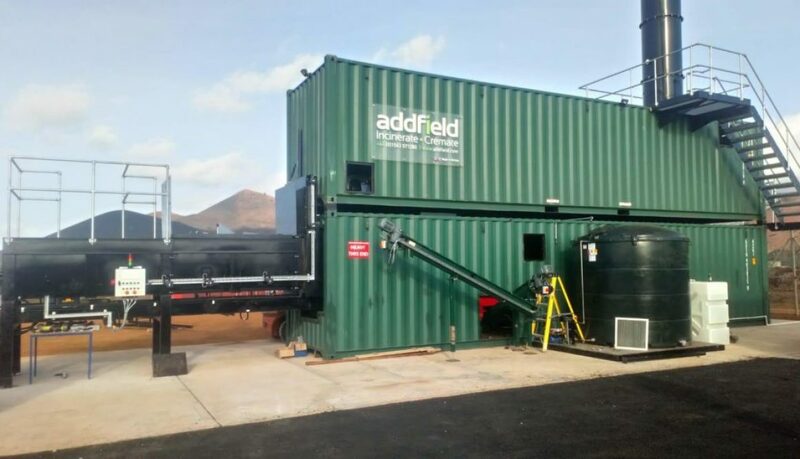 As we have been sharing the ongoing development of our G250 high capacity incineration plant for the Ascension Islands which is now installed and operational. This article details the issues on St Helena and the neighbouring, yet still many miles away Ascension Island. Written from the personal viewpoint of a resident of St Helena this provides a profound insight into what living in a remote location is actually like for disposing of waste. This really brings home the reasoning behind installing a solution such as the G250 which will now provide a genuinely safe and clean way of disposing of waste that cannot be recycled. The article also highlights a number of key recycling strategies that could be implemented on the islands in the future. The full article can be found by clicking here and is well worth the read for a unique perspective on a global problem. It’s fantastic to learn the real impact that our machines can make for the environment in a way that many people may not generally be aware of. We have a number of additional high capacity installations in production, including one project specifically for treating 2 tons of plastic waste an hour. Since moving into our new Burntwood factory back in April of 2017, our growth has shown no signs of slowing down. During the past year, we have taken on a record number of incredibly varied projects. 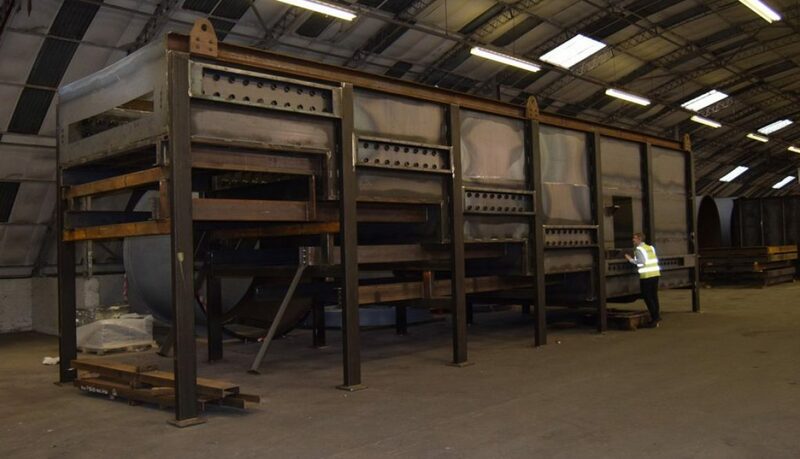 Alongside receiving a constant stream of orders for our traditional range of incinerators, we have also began completing a number of what can only be described as massive high capacity installations. If you have been out to visit our factory this year you will have seen it becoming busier and increasingly crowded as it became filled with machines at all stages of production. To ensure that we can continue delivering you outstanding machines we knew it was time to grow again and the timing couldn’t have been better. Fortunately for us it was on our side as in early September the unit next door became available and within a week we had agreed and collected the keys to an additional 16,000 square foot to expand into. Collecting the keys to our new unit is giving us incredible potential for the future. We will be able spread our expert workforce between the two connected sites and maintain our very busy work load to ensure the machines we produce are to the highest standard that you have grown to rely on. If you haven’t been to see us in a while this is a perfect reason to come visit as new unit is currently housing one of the largest primary chambers that we have worked on since moving into our new premises standing at an impressive 3.4metres high and 12metres in length we certainly need the extra space. Lining up along several mansize secondary chamber parts and a dozen machines due for delivery in the next couple of weeks. We are certainly growing into our success. Over the past 35 years we have developed a comprehensive range of incinerators, suitable for every kind of waste and able to handle all of our customers industry needs. Boasting a range of machines starting with the ultra-compact AES100 all the way to the rather impressive Rapid 1000. However sometimes these machines just aren’t enough for our customers unique requirements and this is where our custom High Capacity range comes in. Our latest coming to completion and ready to be shipped to the Ascension Islands now is one of our G250 machines. Fully self-contained in two stacked 40ft containers, this machine was selected as the perfect solution to handle all the waste for the entire mid Atlantic island. Specially adapted to safely incinerate all the diverse waste streams that need to be processed. Built to operate for up to sixteen hours a day incinerating up to 250kg an hour, this means that the G250 can easily process a massive 4 tons of waste a day. Designed for almost continual operation able to clock in over 350 days of usage every year more than enough for the islands 800 inhabitants. The waste can be loaded manually, by JCB or through an optional bin tipper. Placing the waste securely into the ram loader, before safely directing it into the stepped hearth primary chamber. This keeps the waste moving throughout the process gradually pushing the combusted materials down the chamber until the ash falls into the screw fed deashing section exiting the chamber through a grated aperture preventing any blockages. The process is reliably managed by our programmable PLC monitoring system. Able to adapt the program cycle specifically to the exact requirements of the current waste being incinerated. As this G250 is heading to manage the waste on a remote island it has been adapted to be able to operate using waste oil as an additional fuel stream. 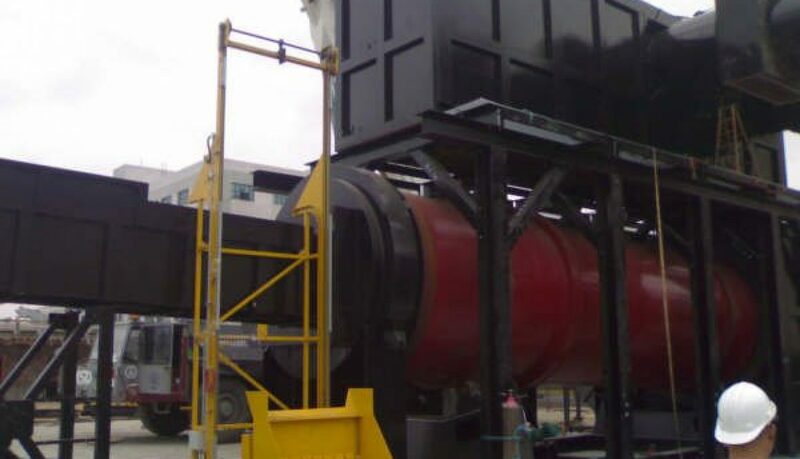 This provides a double benefit as it removes waste oil safely from the environment by using it to aid the incineration, which in turn further reduces the operational costs. After incineration all of the waste gasses enter the secondary chamber, extended to optimise the retention time. Benefiting from an air dilution ring, which circulates the waste gasses ensuring that only clean safe air is released back into the environment.